Taoiseach Leo Varadkar says perhaps he should have been more clear when he said no one would have to fight their case in court. TAOISEACH LEO VARADKAR said he has learned over the last couple of days that mediation in the CervicalCheck cases “is not the holy grail or panacea” he thought it was a few months ago. Speaking at a media briefing to mark the end of the political term, Varadkar repeated that he regrets not being clear when he suggested in May that all cases in the controversy would not have to go to court. 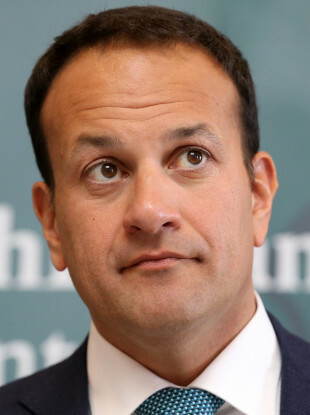 The Taoiseach came under criticism this week for not delivering on a promise he made a few months ago that none of the women impacted in the CervicalCheck scandal would have to take the stand. However, in recent weeks, with a number of women having to fight their case in court, it has become apparent this is not happening. In an attempt to clarify his remarks, he said the government would “endeavour” to settle the cases through mediation. He told reporters today that while mediation has been successful in dealing with two smear test cases so far, women and their families do have the option to go to court if it is in their interests. “But I do of course regret not being clearer in acknowledging that mediation may not be successful in every situation and that people have the right to decide to take their action to court if they feel that is in their interests. Perhaps I should have been clearer at the time,” he said. The Taoiseach added that mediation is being offered in all cases. “One thing that is becoming apparent to me from the last couple of days is that perhaps mediation is not the holy grail or panacea that we thought it was a few months ago. I certainly had much more confidence that we could settle all cases through mediation thus avoiding a court trial but it has become evident to me that may not be the case, so we need to explore other mechanisms, other alternatives to going through the court process,” said Varadkar. He added that other paths will now have to be explored. In terms of what happens if the laboratories, which were contracted to assess the smear tests, didn’t participate or refused to take part in mediation, the Taoiseach said that point hasn’t been reached yet. “They have already taken part in two mediation settlements. They have agreed to take part in the mediation in the current case that’s underway. But for the State to step in we would definitely need to have the expert reports, we need to have the reports tell us whether or not there was negligence in that case because by stepping in we’re exposing the taxpayer obviously to the full cost if we’re unable to pursue the labs so we would need to know that we had sufficient grounds to pursue the labs thereafter,” he said. The Taoiseach repeated comments he made in May that redress is under consideration, adding that when all the facts are known, the government will establish a redress scheme so women and families could get financial compensation in a way that is not adversarial, and won’t involve going to court. In the mean time, the government is putting in place a care package for women and their families. “We have endeavoured to settle all of the live cases by mediation and that is what we have been trying to do genuinely for the last few months. I appreciate it hasn’t worked out entirely as we would have liked but that is what we have been trying to do,” said Varadkar. Vicky Phelan, the woman who first shone a light on the scandal with her case, will meet Varadkar tomorrow afternoon. The Taoiseach told the media today that he is looking forward to their meeting, adding that he hopes to seek her advice and get her thoughts on the issues. “What we all want to achieve is a system of redress and compensation that avoids women having to take the stand in court,” he said. Varadkar also said he is “open to the idea” of the Commission of Investigation into the CervicalCheck controversy being held in public. “There will be some people who will prefer to give their evidence in private and maybe do not want to appear in public,” he added. I’m as frustrated as everyone that none of that’s been completed yet. We had originally thought that we’d have the Scally by June and that the independent review of the slides would be well underway by now, in fact it’s only just starting. So in many ways, if we had that done we’d be able to answer some of the questions… particular around whether there was negligence in the vast majority of cases because again, that’s not proven. He said he also believes there will have to be some form of financial compensation for all 221 women affected by the controversy. Email “'I regret any of this ever happened': Taoiseach says mediation in CervicalCheck cases not the 'holy grail'”. Feedback on “'I regret any of this ever happened': Taoiseach says mediation in CervicalCheck cases not the 'holy grail'”.